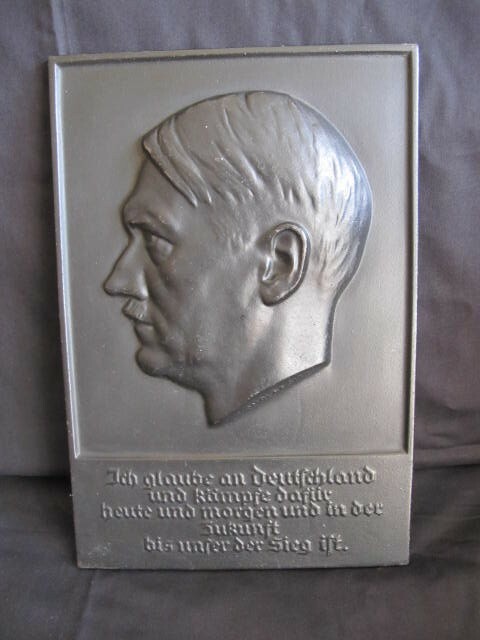 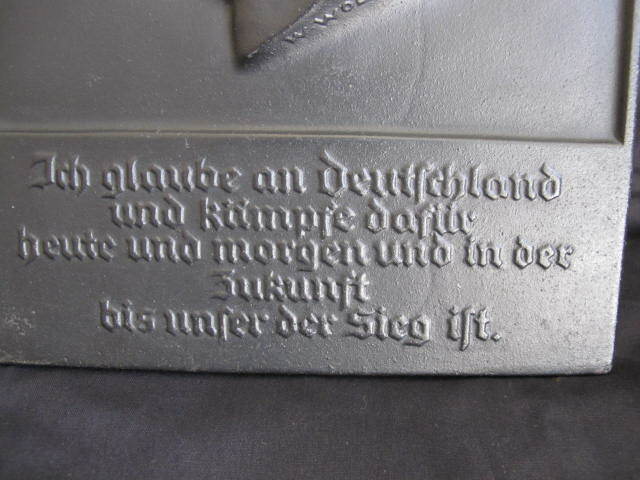 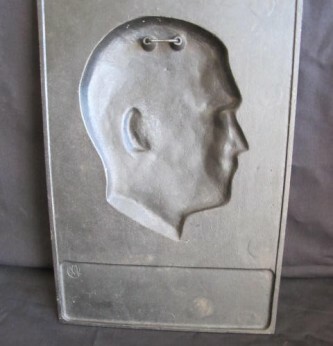 Excellent condition cast iron building wall plaque showing profile view of Hitler head with speech below in gothic lettering. 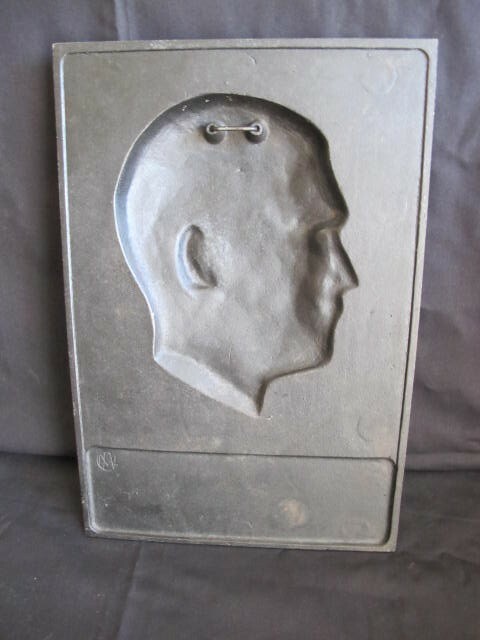 Wall plaque measures 32x 22cm. 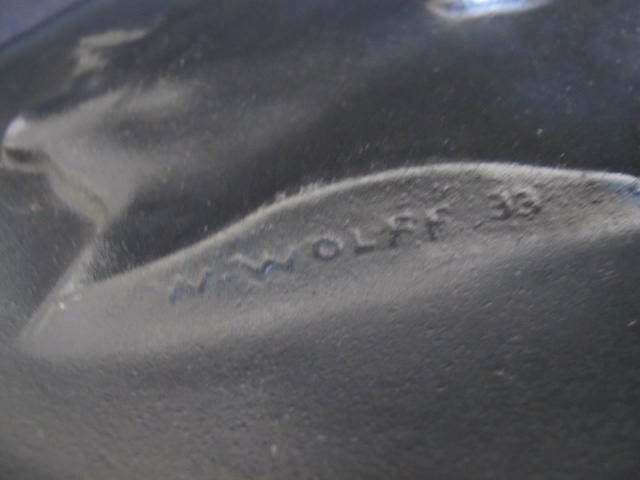 Black paint finish in excellent condition. 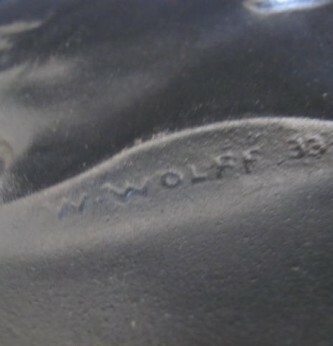 Signed by Artist W Wolff and date 33. 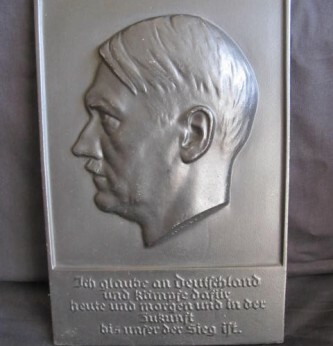 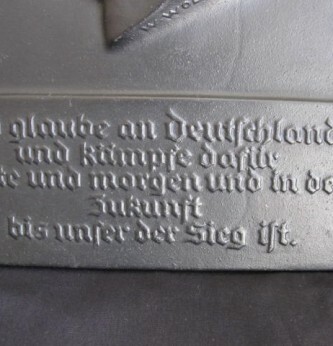 As displayed in NSDAP party buildings.